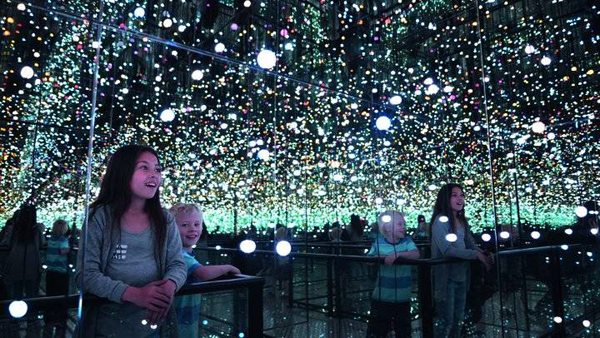 ‘The Void’ infinity room in the Otago Museum Tūhura Otago Community Trust Science Centre. The Otago Museum will later this year start some physical work on a project costing up to $1 million, to extend its sprinkler system to older parts of the complex. Museum director Dr Ian Griffin said 30% of the overall complex was not covered, but the more modern areas were. Brazil’s National Museum, that country’s oldest and most important historical and scientific museum, was consumed by fire in September last year. The museum did not have sprinklers and much of its archive of 20 million items was destroyed, in a major loss for Brazilian science, history and culture. Dr Griffin said the Otago sprinkler system changes had already been planned and “we’re not doing it as a result of that situation” in Brazil. But the Brazilian fire clearly showed the risks posed by fire to big collections of museum treasures. “It focuses the mind,” he said. A recent Otago Museum report says the sprinkler cost could range from $750,000 to $1 million. Dr Griffin said the Otago Museum project could take five to seven years to complete, but once it began it was hoped to complete about 20% of the required work each year. Funds were already in place for the first phase, but more money would have to be raised to complete the work. Museum administrators were “working really hard” to take care of the museum collections, and collection team staffing had been increased “over the last couple of years”, Dr Griffin said. This was not a “glamour project” and museum visitors would notice little difference, even after it was completed. But the work had to be done to ensure that the museum’s many treasures were properly protected for the long term. The institution was also working with consultants to ensure that the museum’s complex artefact protection needs were met, he said. Although the museum wanted to avoid the risks of fire, it was also mindful of the need to avoid water damage through accidental activation of the sprinkler system. The extended system would initially activate only in the immediate area of any fire threat, protecting other areas from accidental water damage, he said.